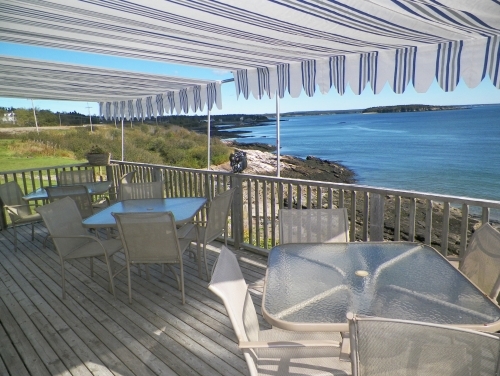 The BayBreeze Restaurant, a popular New Brunswick dining icon since 1977, sits on a rocky perch overlooking the majestic Bay Of Fundy where its tides rise and fall to reach the rugged beauty of the Pocologan shores. You will be treated to breath-taking land and sea views stretching for miles. 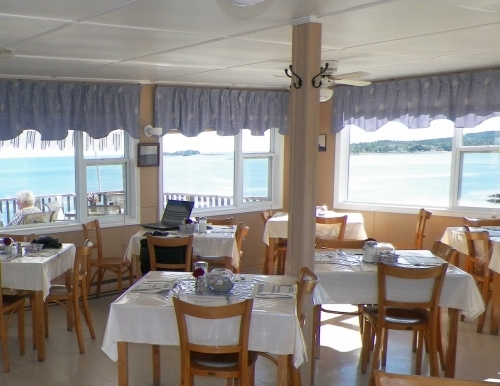 Featured in "Where to Eat in Canada", the BayBreeze is well known for its deliciously prepared ocean fresh seafood and excellent home style cooking for breakfast, lunch and dinner. Owners John & Maria take great pride in providing exceptional food, hospitality and service to their guests, as well as bringing a special Greek flair to some of their menu offerings. Aim your camera from inside the bright window surrounded dining room or enjoy your meal and views on the spacious outdoor deck, where seagulls will treat you their showy flight, songs and dances. From Saint John, take exit 86 at Lepreau, we are just 5 minutes past New River Beach. Enjoy your meal and continue down the road 10 minutes to exit 69 and St. George, St. Andrews, St. Stephen or USA. From the Maine-New Brunswick border, take exit 69, you are about a 10 minute drive to Pocologan, stop, relax, enjoy your meal and continue 10 minutes to exit 86, Saint John and beyond.